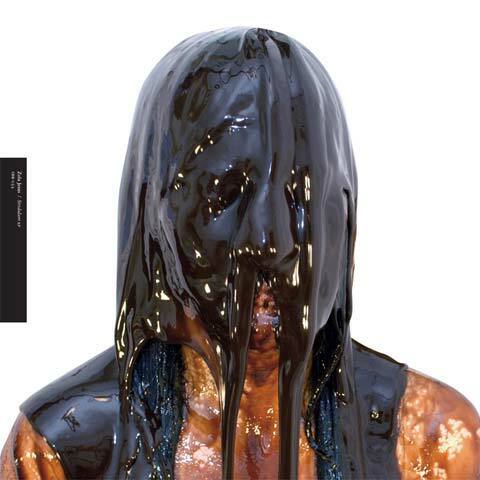 The oil painting was chosen by Simon Cassels, the art director for the album, who also crafted the text. “The idea was to play with the title, Prepare for Black & Blue, as a literal meaning,” Smith explains. The equal focus on both the album artwork and the typography really gives power the importance of this relationship between form and content. The artist behind the artwork for Burning Bush Supper Club goes by the name VRNO, and he’s a bit of an anonymous chap. Nonetheless, this is a solid illustration that serves as another installment of the band’s fun-loving identity. Scrawly penwork, with patterning that occasionally glitches out like a scrambled digital image, conveys this. Childish joys and a sense of solidarity are captured in the album cover for Together. For the release, The New Pornographers joined collaborative hands with musicians such as Zach Condon of Beirut, Annie Clark of St. Vincent, Will Sheff of Okkervil River, and the horn players from Sharon Jones & The Dap-Kings. The artwork seems to capture just such a spirit of togetherness. The image, entitled The Cliff, was produced in 2006 by artists Walter Martin and Paloma Munoz. Since its days of being a pop-punk staple band, former Tooth And Nail signee, Anberlin, has certainly matured. The band now sees its music on a global scale and finds its music on mass market, mainstream radio. 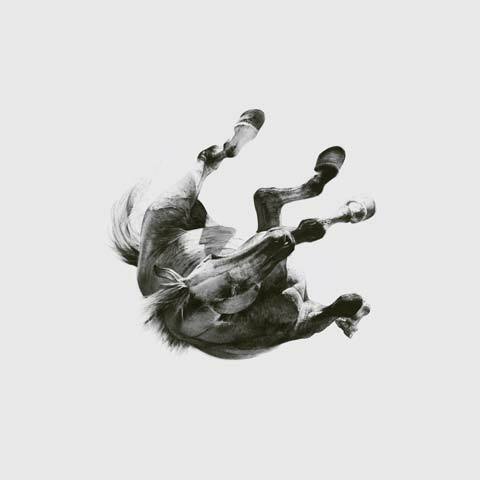 In contrast to its music, Anberlin has generally opted for fairly minimal album cover artwork. The artwork for Dark is the Way, Light is a Place is no different, boasting a monochrome image of a horse suspended and surrounded by negative space. It’s awkward, yet full of movement and intrigue. Layout and Design by Jordan Butcher. 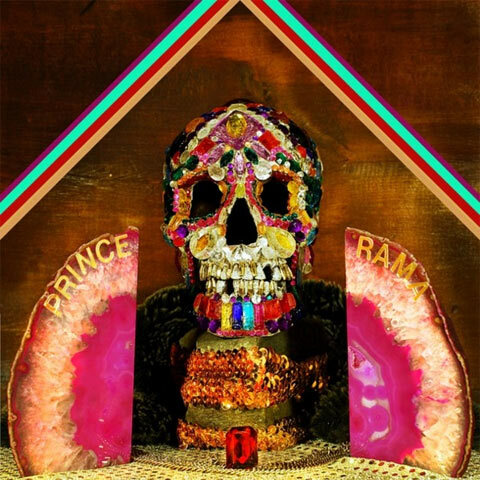 Brooklyn-based Hare Krishna psych band Prince Rama seems like just the type of band that would be into synesthesia. From the band’s press photography to its album artwork, everything is cohesive and well-planned, and the album cover for Shadow Temple is, as well. Friend of Brah Records and long-time designer for Oneida, Dan Schechter was invited by Oneida’s Kid Millions to work on the album cover for Sightings’ City Of Straw. Though the album title might infer certain types of imagery, Schechter’s interpretation actually embraced what is the direct opposite of straw in both feel and texture; rather than turning to soft, warm colors, Schechter turned to cold, hard metallics. After a phone conversation with Sightings about the band members’ thoughts and musical processes behind the album, Schechter got to work, turning the aural interpretation of the music into visuals which have a sense of tangibility. 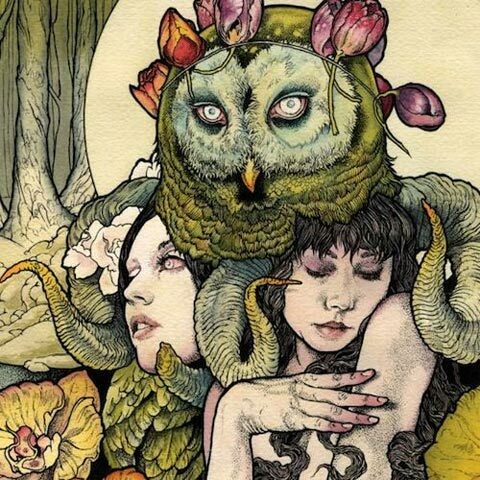 Last year, our huge oversight was forgetting to include the album cover for Baroness’ Blue Record, illustrated by Baroness’ frontman, John Dyer Baizley. We won’t make the same mistake of leaving Baizley out again this year. What that means is: accessible metal, for all. And luckily for the band, the tempting cover, by the always reliable and outstanding Baizley, acts as the best marketing tool possible. Earlier this year, Baltimore-based punk rockers Double Daggers released an EP entitled Masks, which lyrically explores the metaphorical ideas behind masks. With the band’s album artwork, it opted to “translate the idea visually into actual masks,” according to designer Bruce Willen, of the design firm Post Typography. The album covers, despite being extremely minimalistic upon first glance, embrace the concept of masks to the furthest reaches possible. Each of the three different colors was printed in different color ink, and the LP and CD versions have die-cut holes which change color, depending on how the inner CD is oriented. “Plus the holes and drawings on the LPs are sized so that the jacket can actually be used as a mask!” Willen adds. You’ve gotta hand it to them; they really know how to work out an idea. Design and illustration by Post Typography, www.posttypography.com, a design firm of which Double Dagger’s Nolen Strals is a founder. 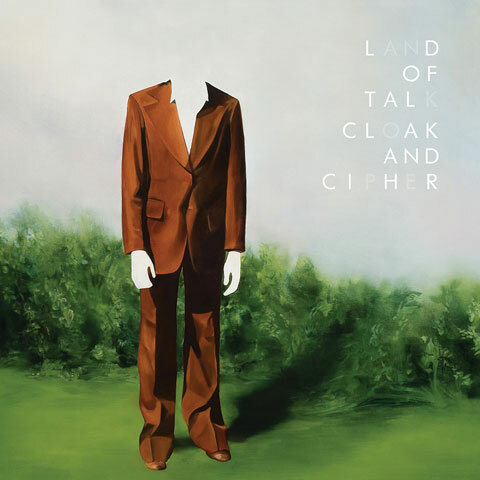 Indie rock band Land Of Talk is subtle with its beautiful melodies, and the album artwork for Cloak And Cipher seems to evoke a Magritte-like quality of surrealism, while honing in on typographical decisions that really give the album title some weight — or lightness, depending on how you look at it. Layout and design by Jack Nipper. 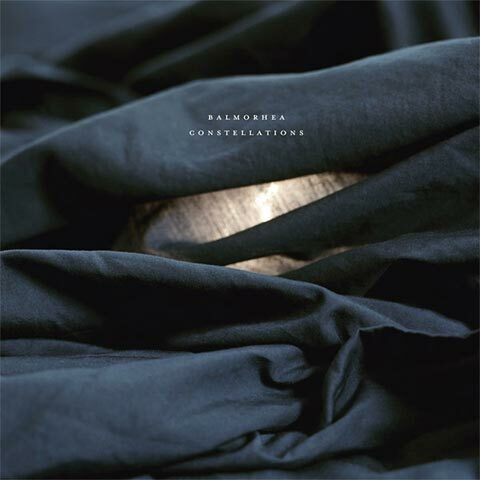 Balmorhea’s album, Constellations, is a concept record, basically about the great wide unknown that is space. By default, the theme comes attached with an endless amount of readily available imagery, which is why it’s so wonderful Balmorhea didn’t take the easy route. 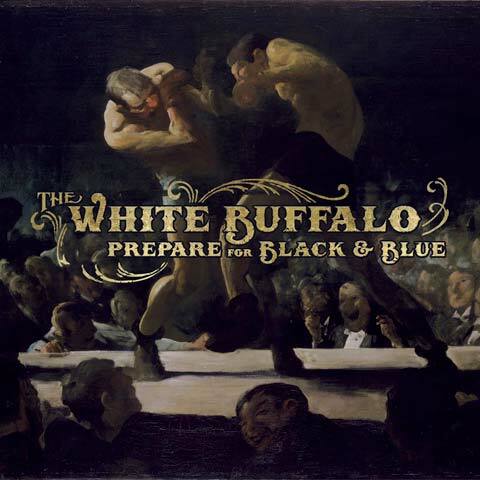 Rather than neatly packaging its music in existing visions of space, the band opted to use a tried-and-true process for album art creation, that the band has adhered to for its past seven releases. “We usually have started with an image or idea for an image, or color palette that seemed to spring forth and fit,” explains Balmorhea’s guitarist/bassist, Michael Muller. For the band’s past releases, some of the images have been taken by Balmorhea’s pianist/guitarist Rob Lowe, while others have been contributed by Lowe’s girlfriend, Megan Carney, Lowe’s sister, Ann, or friend of the band, Travis Klunick. Monetary limitations do play a role in the final pieces of artwork for Balmorhea’s releases as well, but it certainly has not hurt the band’s aesthetic. “Sometimes you have an idea for a photograph that might require 100 people or a hot air balloon or $100,000 cash to throw up in the air, but it’s not feasible. So, you just take a photo in your room or on a trip or something,” says Lowe, who photographed the cover for All Is Wild, All Is Silent on a trip to West Texas, and the cover for Constellations in his room. The simplistic approach with which Lowe and Muller approached the packaging for Constellations is very much representative of the music of the album, which feels pure in its beauty. 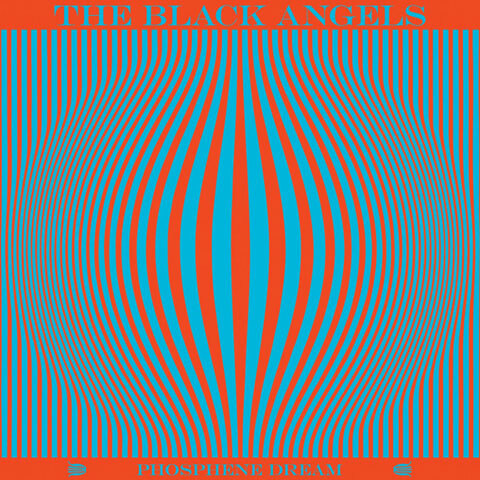 Akin to Animal Collective’s cover for Merriweather Post Pavilion from 2009, The Black Angels have gone the route of bold psychedelic visual trip out feast with its album cover for Phosphene Dream. Neon red-orange and a near-cyan shade of blue combine for an uncomfortably loud and arresting combination — one which is best viewed away from digital mediums. Design suspected to be by band member Christian Bland. 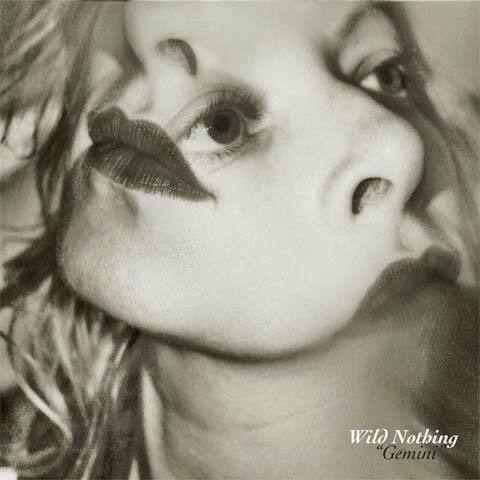 At the time of publishing, we were still unable to figure out the artist behind the wonderful cover for Wild Nothing’s Gemini… which is a damned shame, because it seems this album cover, which stereotypically captures the duality of the astrological sign of the twins, was lauded time and time again for its brilliance. Something tells us that the man behind Wild Nothing, Jack Tatum, is probably responsible for this black-and-white lovely, but it has yet to be confirmed. The designer of the album cover, Joanne Ratkowski, contacted us to set the record straight. We apologize for the omission. She is a wonderful photographer, and we strongly encourage you to check out her work. 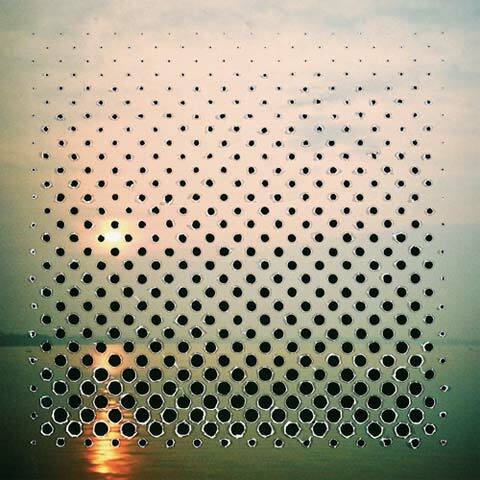 With Wilderness Heart, band member Jeremy Schmidt designs yet another album cover to enlighten us all with. 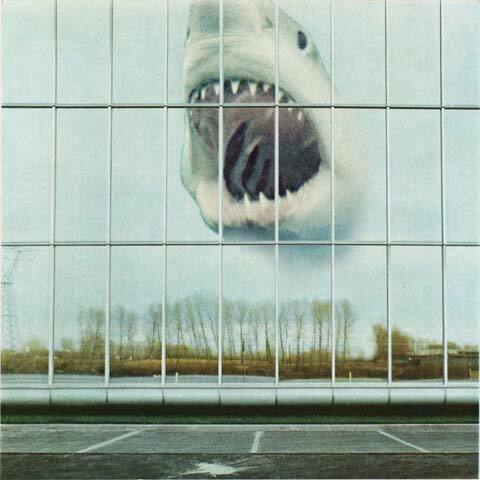 This album cover is yet another reminder that Black Mountain can kick visual stereotypes into the bucket and make it out on top; Schmidt has the Midas touch — one which can collage together images of a parking lot, Great White Shark, and stark autumn landscapes in a way that works, in a psychedelic throwback kind of way. 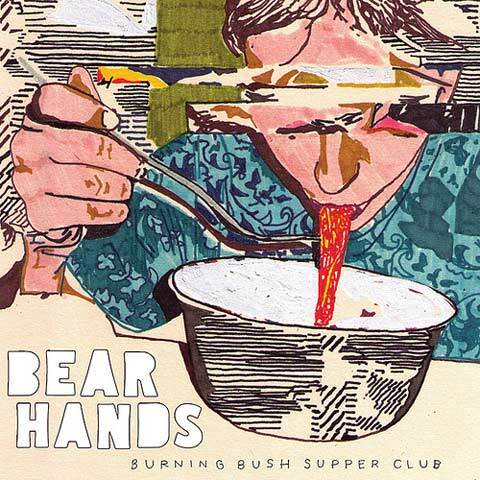 Artwork, design, and layout by band member Jeremy Schmidt. The cover art for Astro Coast takes a traditionally threatening image and remixes it into a scrambled square puzzle which is only vaguely decipherable. 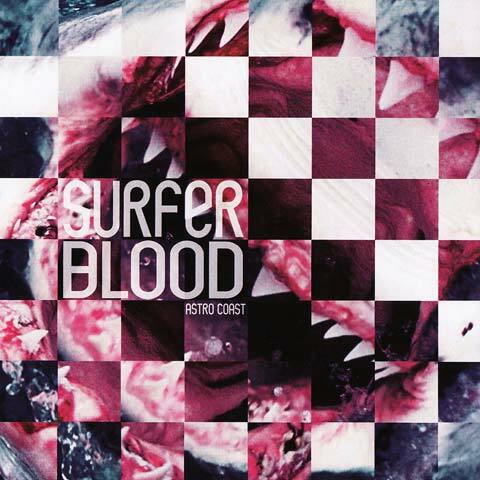 Once the image is descrambled by the viewer, though, the Great White Shark baring its large white teeth seems simply to be a homage to the happy-go-lucky surf rock vibes of Surfer Blood. For Danilova, the experience of having her orifices smothered by chocolate was one of simultaneous pleasure and terror. Concept and modeling by band member Nika Roza Danilova. 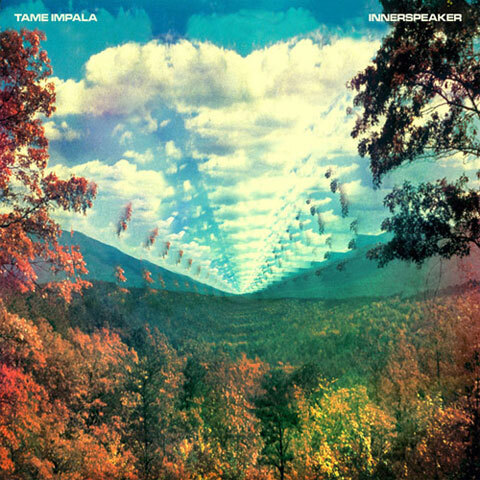 This year, psychedelic rock newcomers Tame Impala worked with ace designer Leif Podhajsky to establish a solid “look” for its music. That look soon cascaded its way through all of the band’s print collateral and releases, effectively marketing the band in a way that drummed up immense amounts of attention beyond simply a musical scale. Using repeating images retreating backwards towards horizon lines, Podhajsky’s got a knack for using basic photo manipulation functions to great merits. 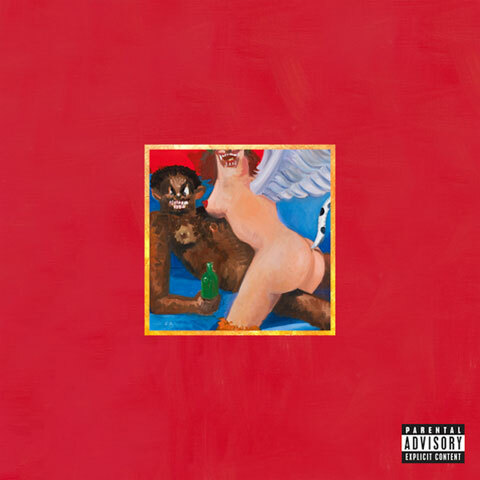 Just as it is kind of painful to admit that Kanye West’s latest album, My Beautiful Dark Twisted Fantasy, is brilliant, it is difficult to admit that the album artwork for it is rather brilliant, as well. 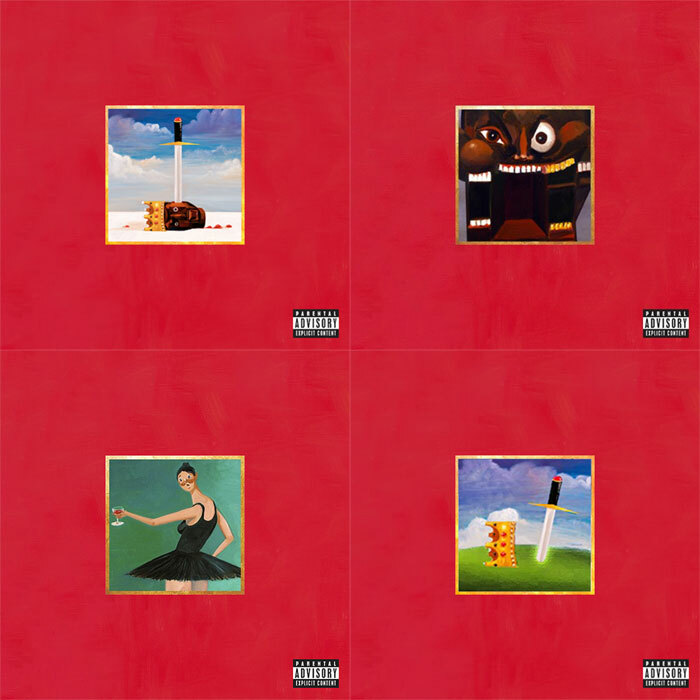 World-reknowned painter George Condo is behind the five album covers created for the album, and he explains the concepts behind the pieces in an article with NY Mag. Evidently, there are themes of “early baroque era religious figures,” “cubism and classicism forged together in a single painting,” and many more fabulous ideas. Paintings by George Condo, a contemporary painter and sculptor of great standing.